When December arrives it’s only natural to begin reflecting on the months that have passed and celebrating the best memories of the year. Sisley certainly has a lot to celebrate this year, so December’s Beauty Subscription appropriately features “The Best of 2018”. 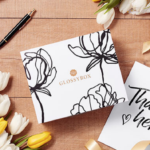 This collection of the year’s best, not-to-be-missed products are definitely worth celebrating, especially once you have experienced their results for yourself.